Weeds are often defined as unprofitable, troublesome, or noxious only because they are unwanted by man. But they can also be seen as tenacious, adaptive and prolific. 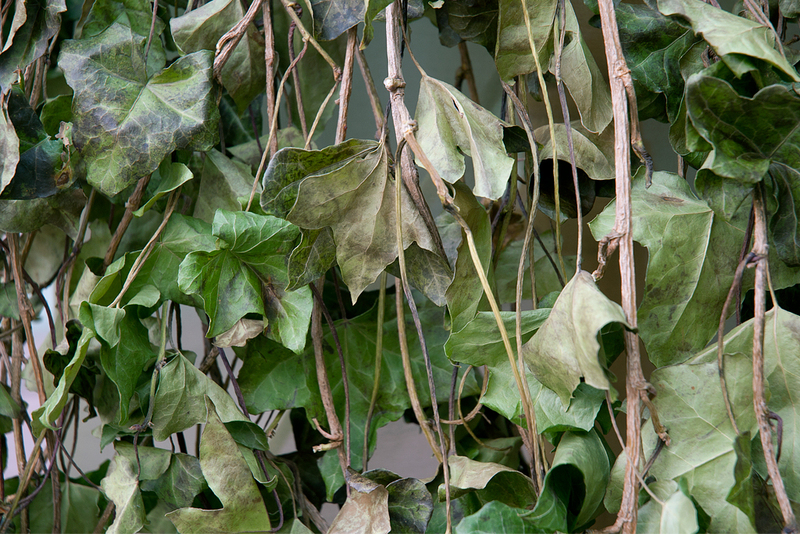 The Skirt is covered with English Ivy, which was culled by the “Ivy Busters” team in Stanley Park. European colonists introduced the plant in the early 1700s but now it threatens the survival of many large trees on the Pacific West Coast. 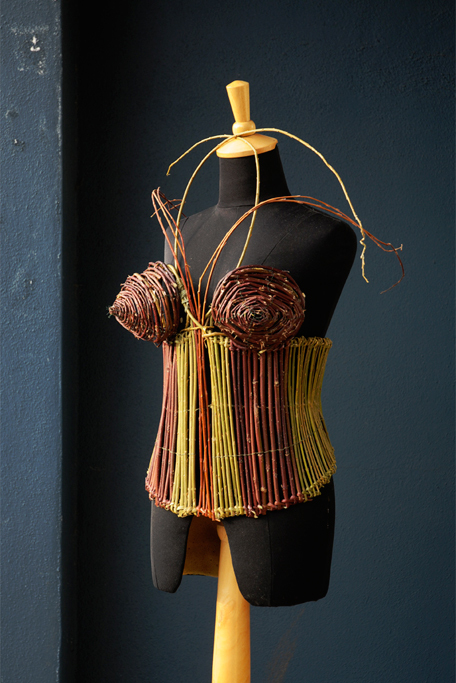 The bustier is woven from Wild Red Rose branches, with thorns intact and various Willow and Dogwood branches. Invasive Species hands shoppers a leaflet, an actual leaf that has B Your Self written on it. When asked most people have no idea where their clothes come from or what the fabric content is, so Invasive Species checks it out. 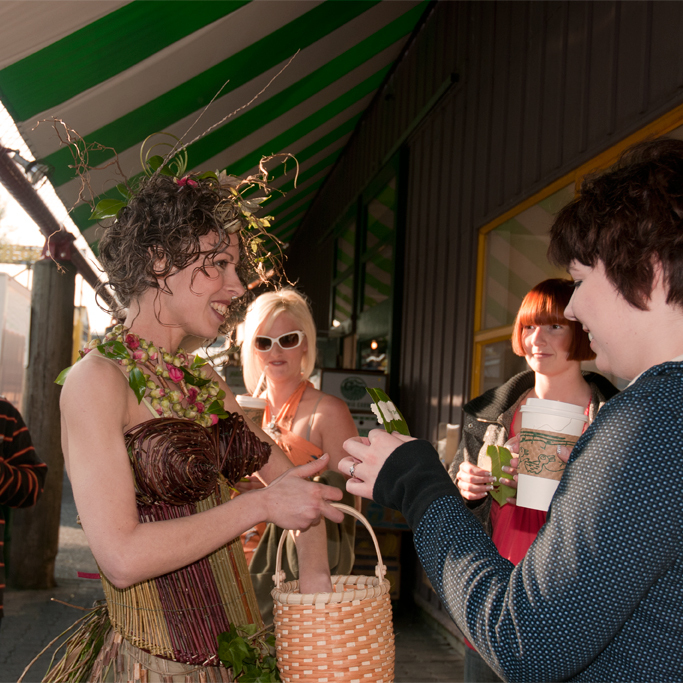 Getting passionate about sustainability with market shoppers. 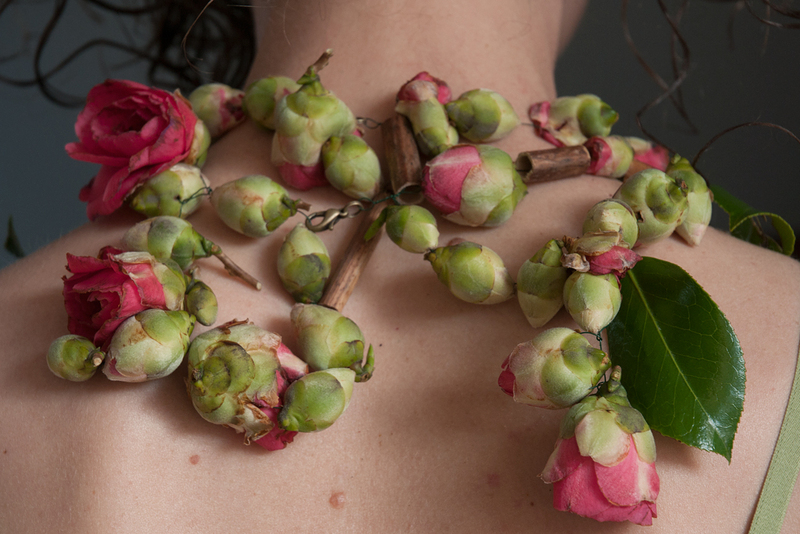 The necklace is made from strung Camellia flower buds and leaves. 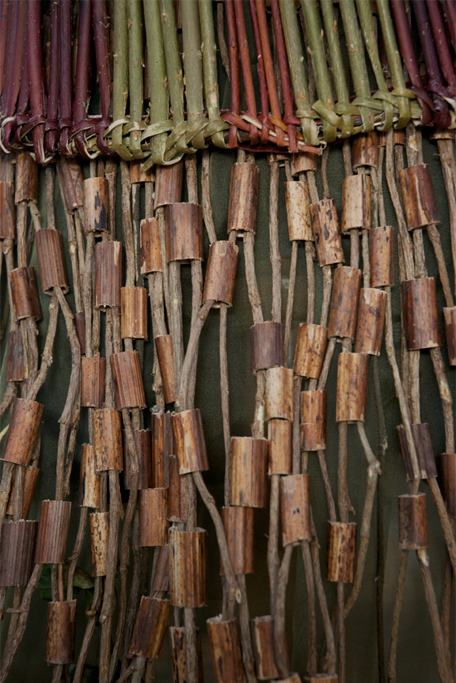 Beads made from Japanese Knotweed, an invasive plant that out-competes native vegetation and is extremely difficult to control once established. 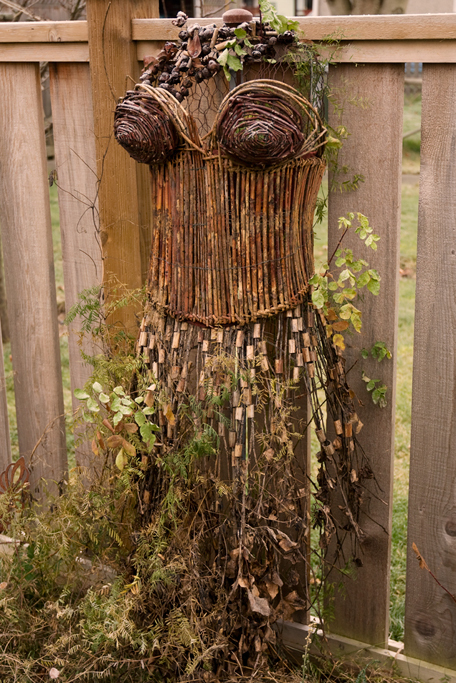 The garment is left to decompose in my garden, where it serves as host to the many weeds I did not pull out. 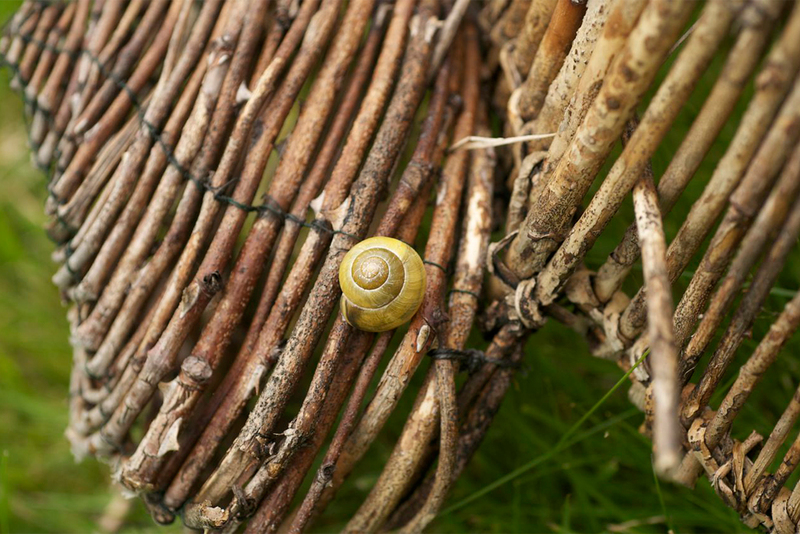 Slowly returning back to the earth, the willow branches of the bustier lose their vibrant colour while accommodating a snail. 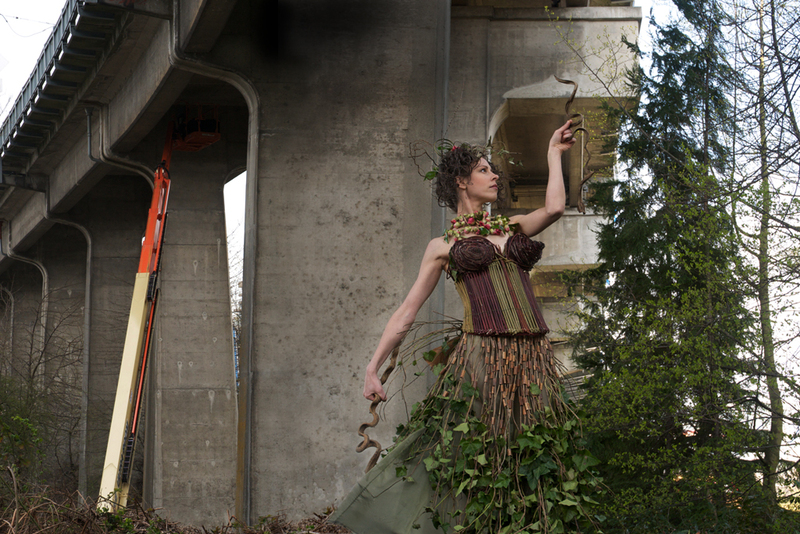 Invasive Species was conceived to challenge our preconceptions about weeds by repurposing these lowly plants into a garment. It invites us to imagine alternative uses for unwanted plants and to question the pervasive use of pesticides. 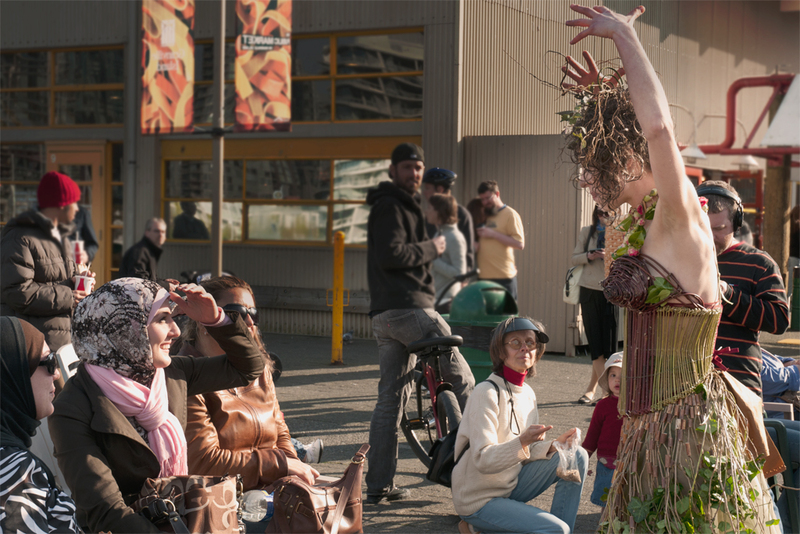 Invasive Species was the first public intervention of the Weedrobes series, which took issues of organic farming and eco-fashion directly to the streets. 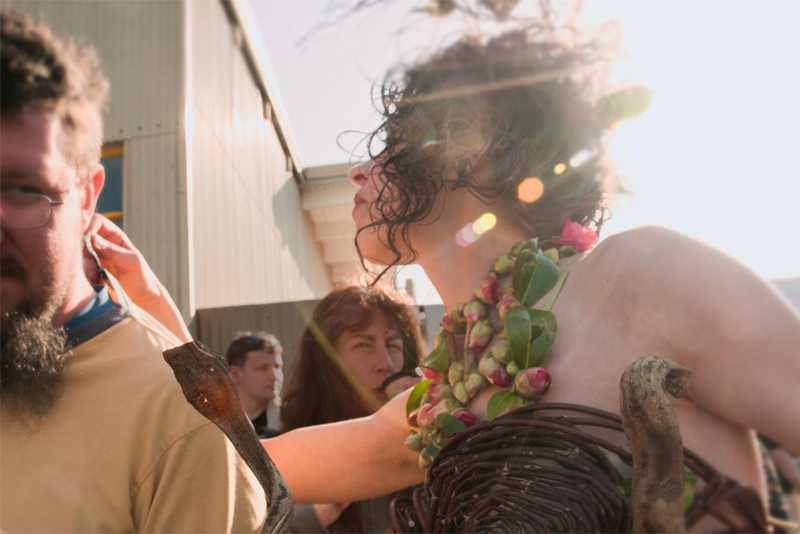 The project owes much to the dynamic performance skills of Nita Bowerman, who has become a frequent collaborator.